Visual novel game trailers are a special beast. The genre isn’t known for a lot of shot variety and whiz-bang visuals. So you may be tempted to get super creative in how you show things. For me? I recently wrapped up a trailer for The Pirate’s Fate. 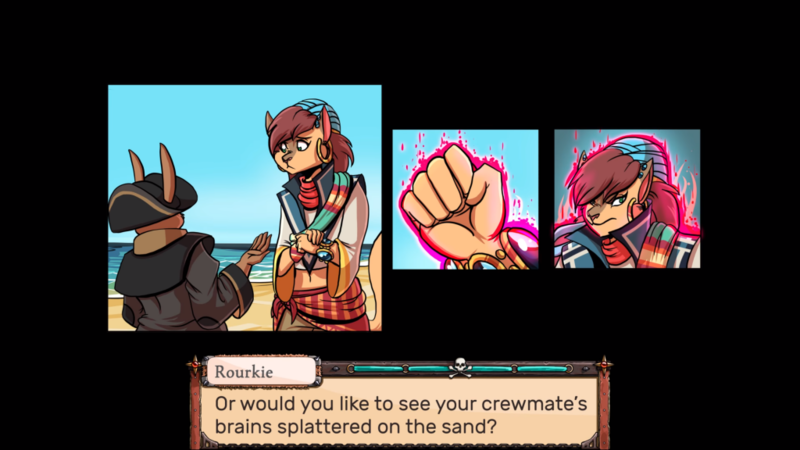 In this visual novel, your decisions shape how your characters look. Take a look to see what I mean. 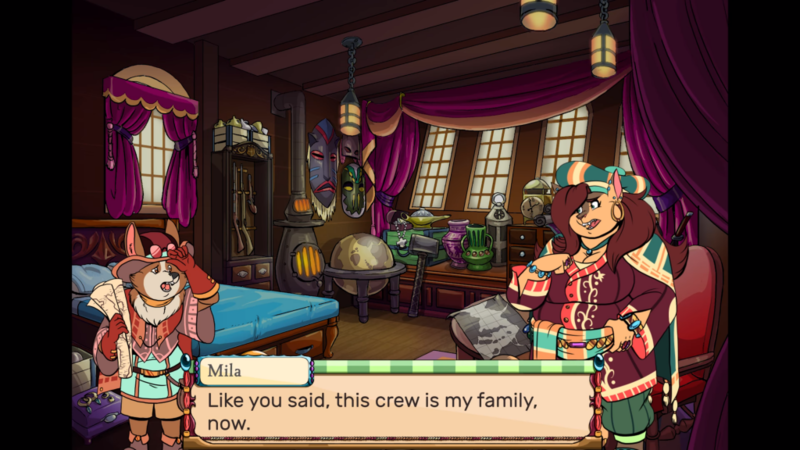 The Pirate’s Fate can stand on its own unique proposition, but there’s some universal takeaways we gleaned for anybody working on visual novel trailers. The key is representing a visual novel fan’s precise tastes (and sensors for quality). These can be quite different from other gamer profiles. You need to do some recon. 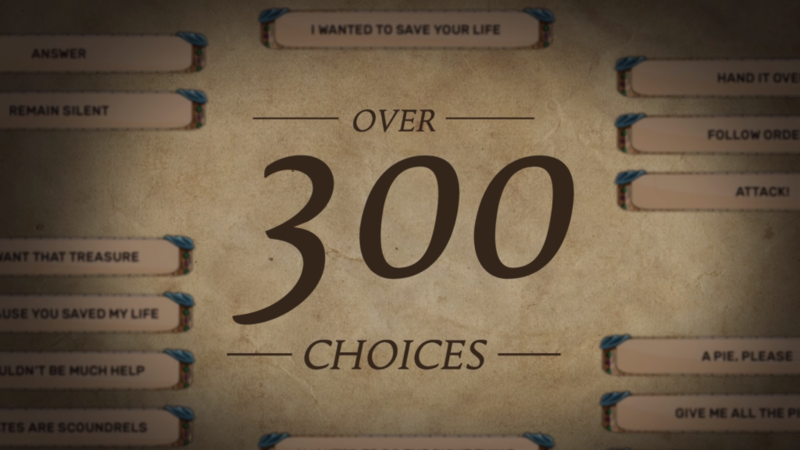 Do I make meaningful choices? Will my choices have powerful consequences? Does the story have emotional depth? We took this data quite seriously, and just went straight for the key points, making sure to focus on the characters, choices, consequences, and the depth of possibilities. It’s important that a game feels as close as possible to the actual game experience, so players know what they’re getting into. I rebuilt scenes from The Pirate’s Fate so I could control each scene’s minute details. Still, I never lost the true spirit of the player’s experience with the game: processing dialogue and interactions between characters—your mind filling in the blanks instead of animation. The ideal visual novel trailer represents the game sincerely and without apology. If you watch most visual novel trailers, you’ll see way more action than what’s true to the experience. Titles swoosh. Characters glide over parallax backdrops. And every major bit of selling-point information gets crammed in. Oddly, story often feels like an afterthought. In lieu of detailed in-game animation, you may be tempted to go motion graphic crazy. Zooms, pans, and flashy particle effects for the fun of it. But your visual novel only connects with people who trust it to immerse them in the fiction. So give them characters. Give them the story. 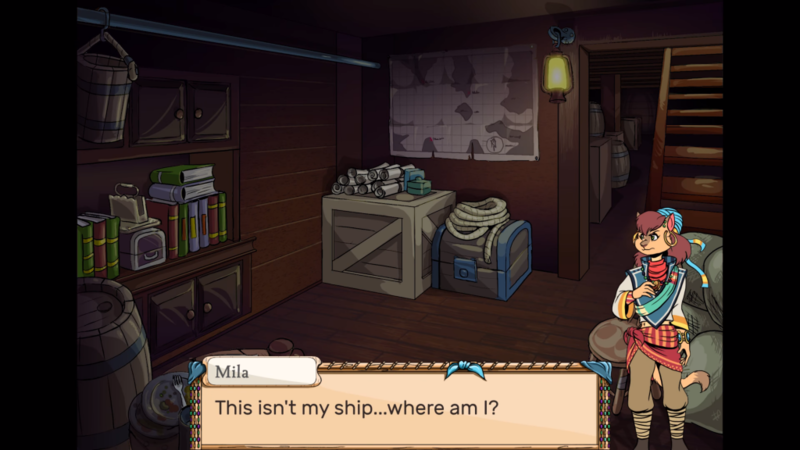 Visual novel trailers should feel like a jam-packed story. However, this is a bit harder because spoilers can be so tricky to navigate. Often visual novels trailers are so spoiler-averse that they forget to even bother telling a story. Don’t do that. Your story is your greatest asset. Derek Lieu advised me once to take a game’s whole script and skim it for great framing questions: the central mystery. Grandiose framing statements. It’s worked well for me. So I’ll advise the same. Skim your whole script for the most powerful framing questions and statements. Start with the basics: who are we, where are we? What’s the central mystery? What’s the active tension? Curiosity is your biggest tool. Try to leave questions without providing answers. Sometimes your script is so massive that reviewing the whole thing would take weeks. So just limit it to your most choice material: how much of your game has voice acting? Start there. Once you strip it down to the best bits, you’ll probably still have more than you could ever cram in a trailer. Time to pare down. With the core framework of The Pirate’s Fate extracted, I began to strip everything that wasn’t perfect and powerful. It might feel a little unusual at first, but this is where iteration and revision comes into the editing process. Set-up the world, the key player in this world, and invite the viewer into a player role. Over time, it will start to feel like a short encapsulation of your game’s overall story. Sound makes people believe something is real, even if there’s no visuals to go along with it. Something about the way our ears feel the auditory vibrations creates a resonance with in us. It makes us trust our ears more than our eyes. So making the trailer more sound-driven was one element that made the game feel like more real of a place and experience. Similarly, it couldn’t sound as great without the game’s incredible setting-grounding soundtrack. It’s not important that your viewers have enough time to digest all the key selling points of the game, only that they’re there and can be found on multiple views. Over-stuffing your trailer is highly recommended, because nobody remembers what you tell them, but everybody remembers how you make them feel. So if there’s too much information, that can make people feel like, “there’s so much here, I don’t have enough time to take all of this in!” Just remember your goal is not making people feel informed, it’s informing their feelings. Emotional intelligence matters. When scripting, create a column next to each shot and ask, “What’s the emotion for this moment?” Question if this emotion would make you want to play the game or be curious, or feel scared, or make you angry (Anger is an effective tool if you’re trying to motivate somebody to do something). Your goal here isn’t to manipulate, but faithfully relay the active tensions of your game: to make them want to feel how your game feels. 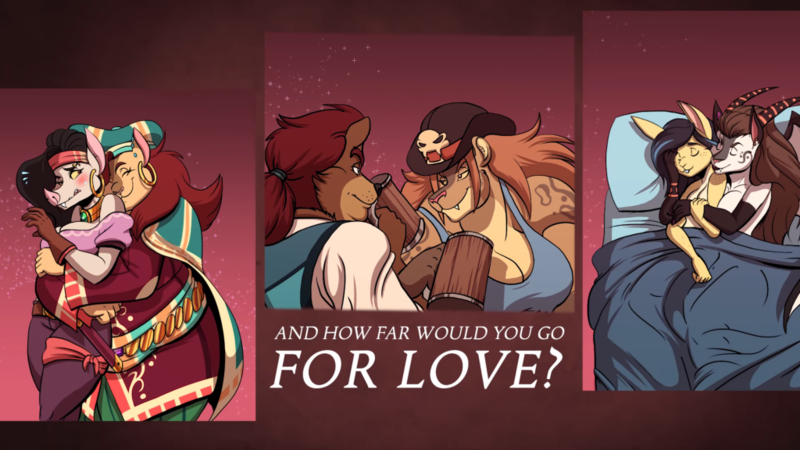 Never lose sight of your audience: visual novel fans need their questions answered. So if you’re feeling lost in the woods, come back to the core questions: choice, characters, and consequences.